SOUTHWEST 2 STORY HOUSE IN THE STUNNING 24 HOURS GATE GUARDED RHODES RANCH GOLF COURSE COMMUNITY. 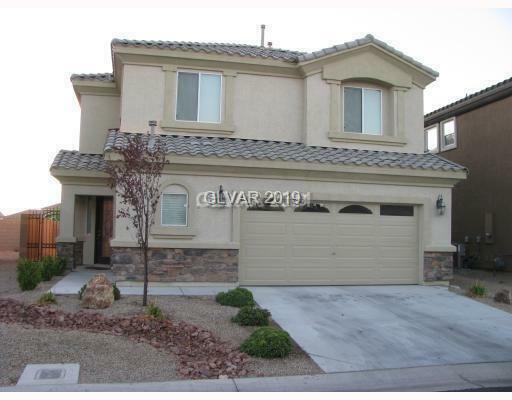 HOUSE FEATURING 4 BEDROOMS, 2.5 BATH, 2 CAR GARAGE, GRANITE COUNTER TOPS AND CUSTOM CABINETS. LAMINATE WOOD FLOORING DOWNSTAIRS. CLOSE TO SCHOOLS, SHOPPING CENTER AND FREE WAY. Directions: From I-215 And Durango, Go South On Durango Pass Warmsprings To The Rhodes Ranch Gate. Guard Will Direct You.